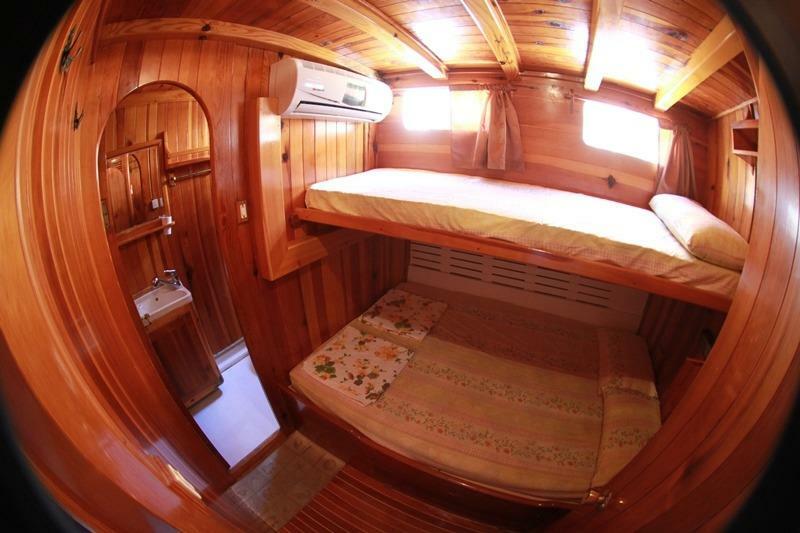 She has 6 air conditioned (4 Double + 2 Double with upper bunk) cabins for 12 passengers. 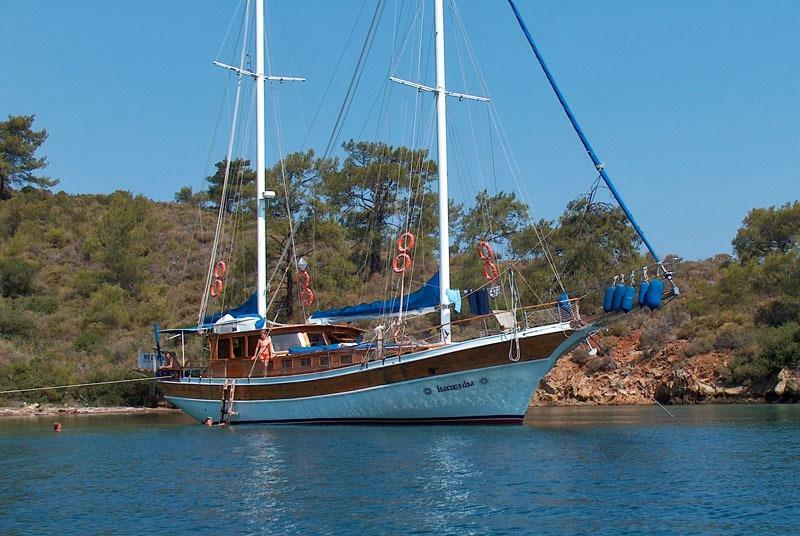 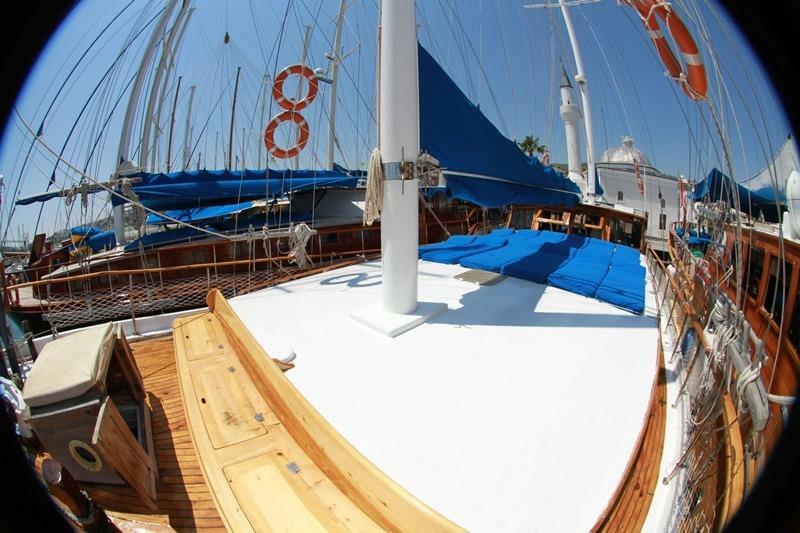 Turkish flagged Rounded Stern Gulet, Length over Deck 20.00 m, Beam 5.25 m, Draft 2.30 m, Engine Caterpillar Diesel, Freshwater 6.000 lt, Fuel 2.000 lt.
Total 6 Double bedded Air conditioned Cabins. 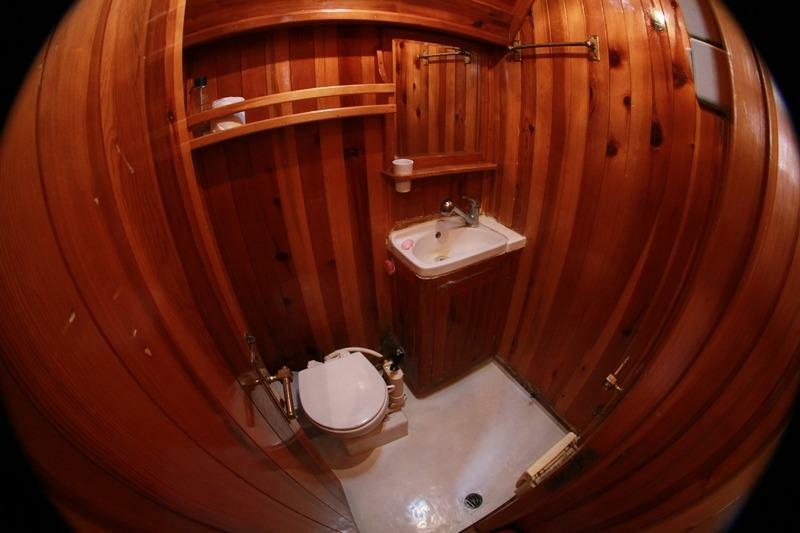 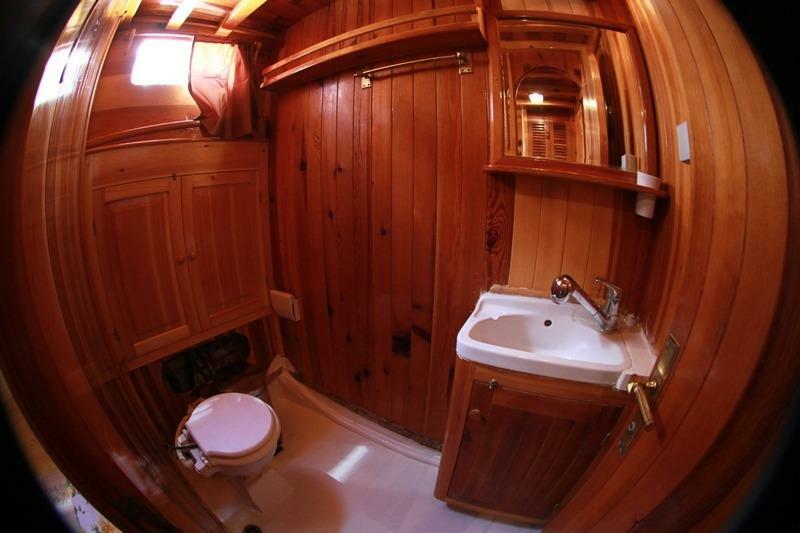 They consist of 2 Front Cabins share one Bath together. 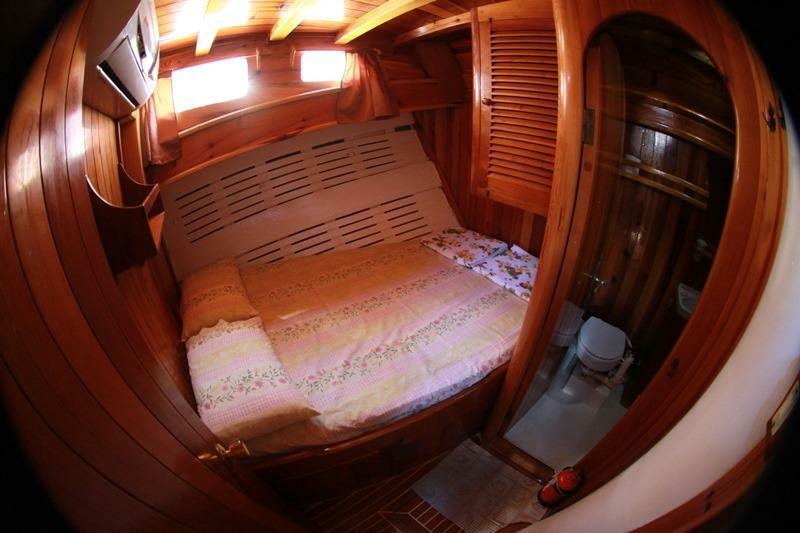 2 double bedded Cabins with private WC/Shower. 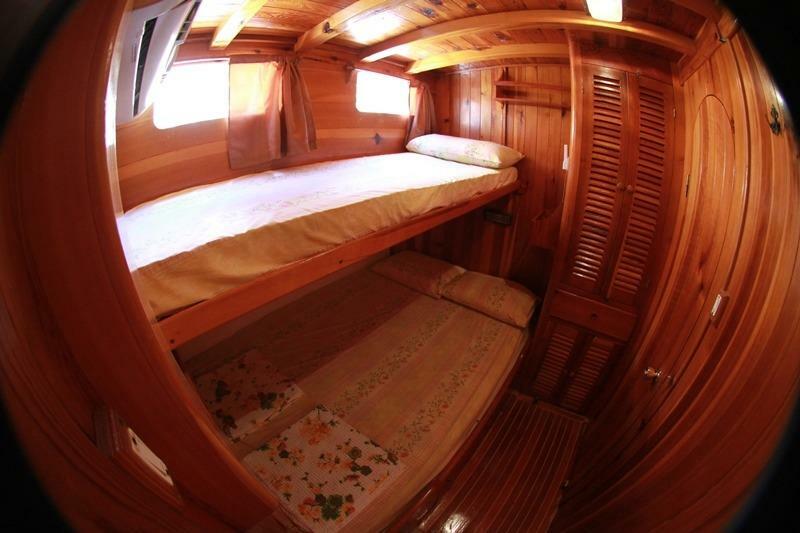 2 double bedded cabins with upper bunk. 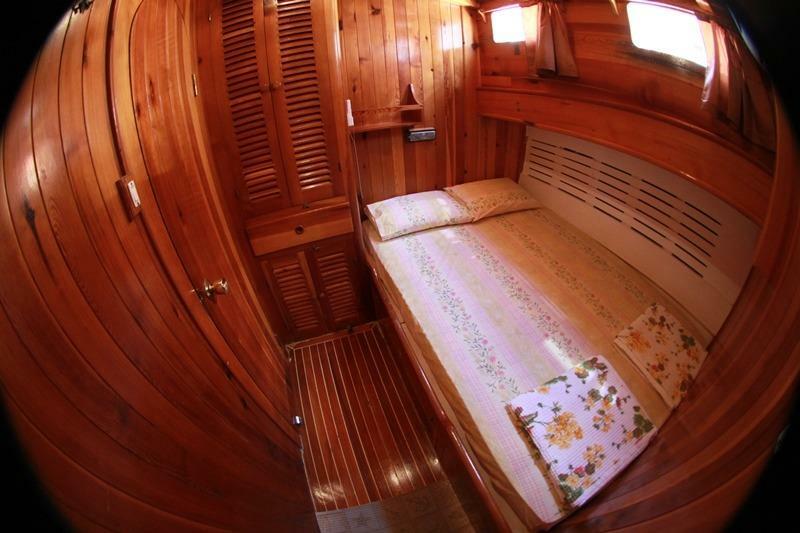 All cabins with A/C, portholes, wardrobe, drawer, mirror. 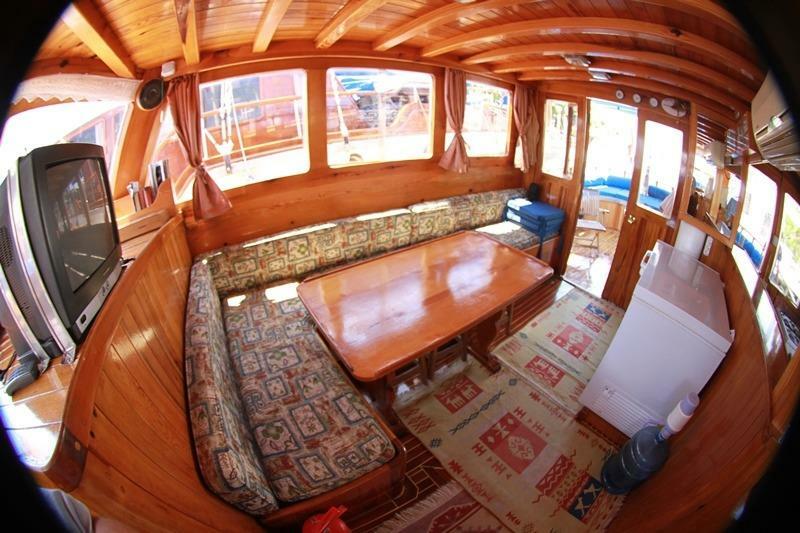 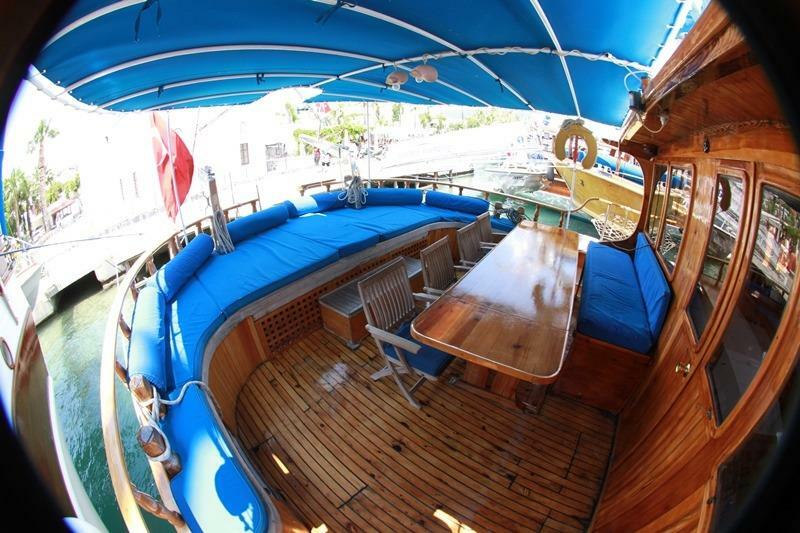 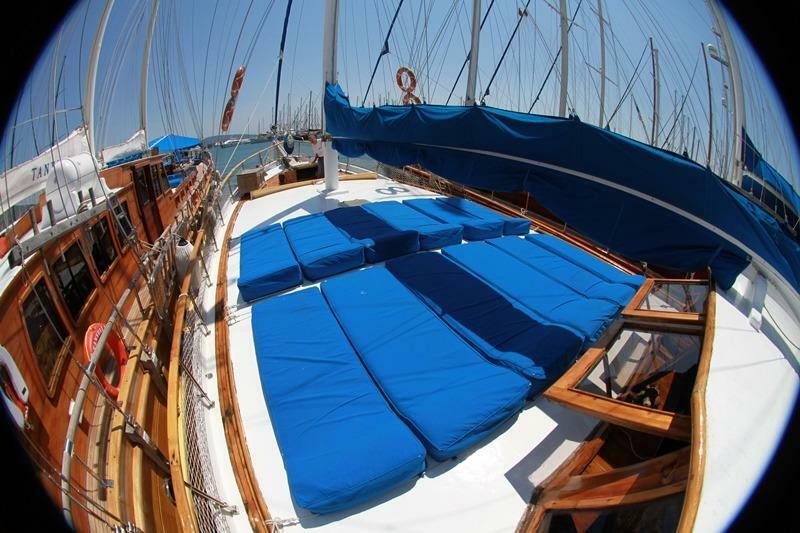 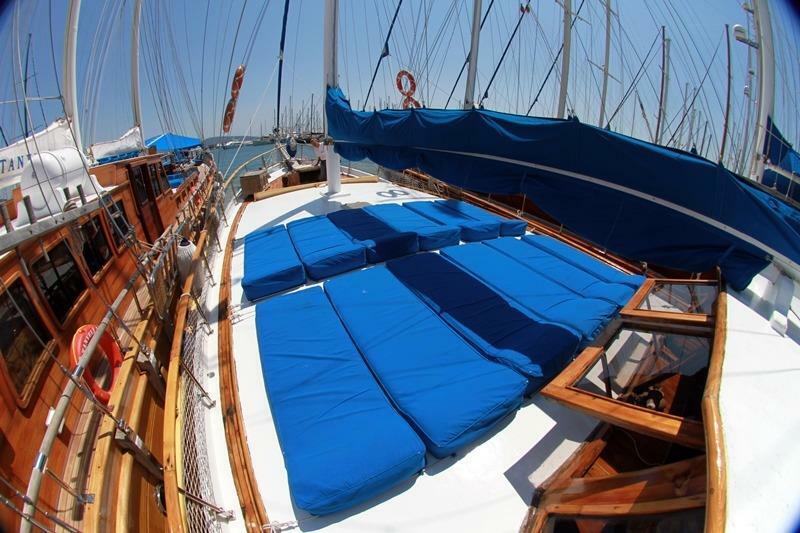 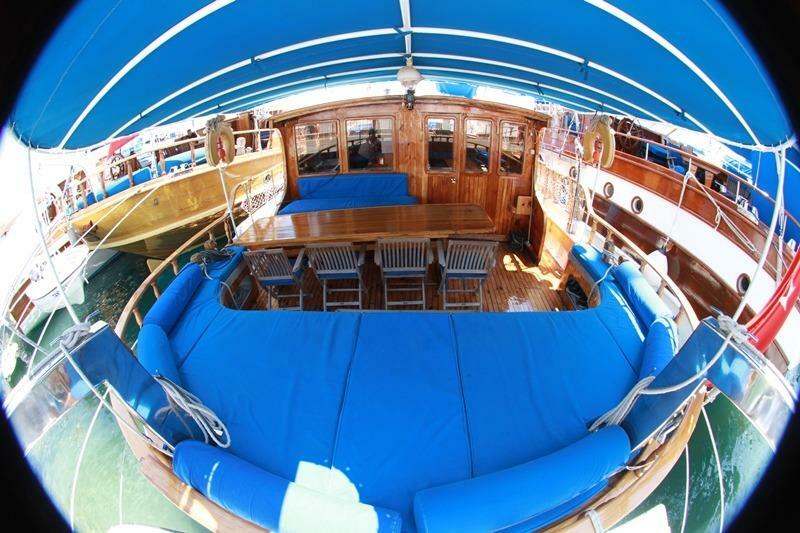 Spacious sun deck area with Sun mattresses and cushions, Sun awning, Cushioned aft deck with a large table, Deck chairs, spacious saloon with bar and dining table, TV, DVD, Fiber Dinghy with outboard engine, Snorkel and Fishing Equipment, 1 Canoe. 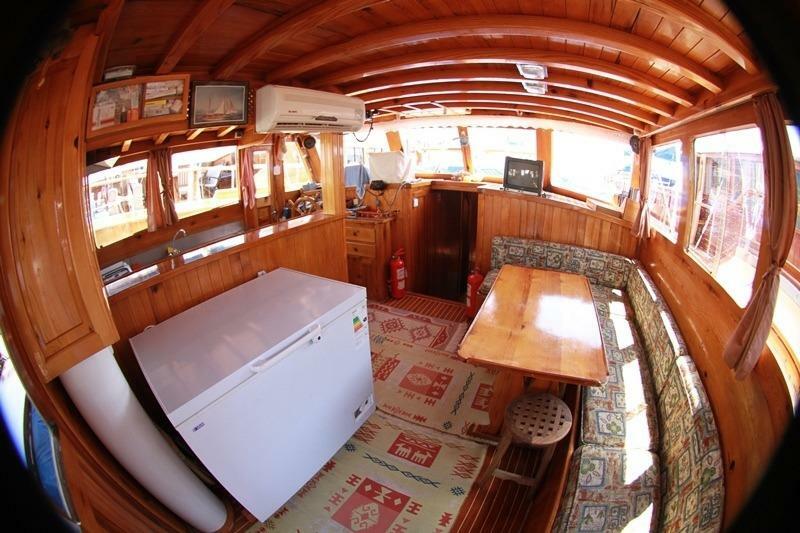 Complete navigation equipments, Mobile Phone, Life Raft, Life Jackets, Fire Extinguishers, Fully equipped Galley, Deep Freezer, Ice Boxes. 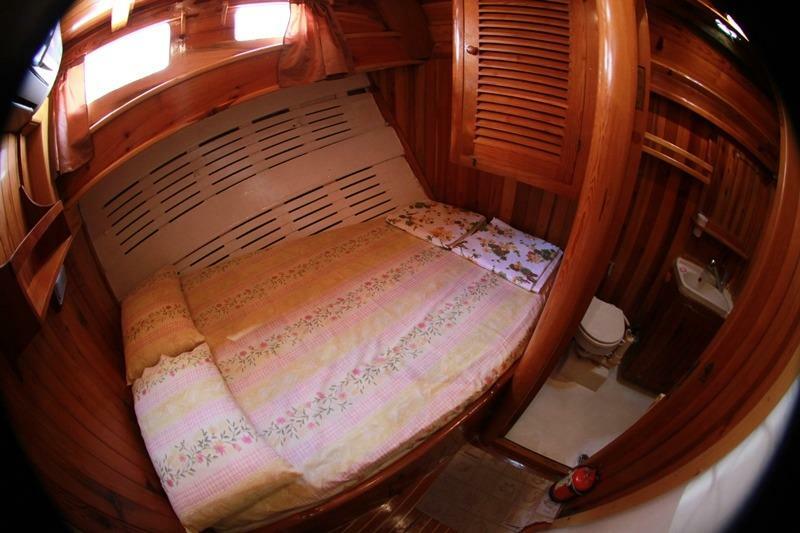 (Captain, Chef, Sailor) in separate crew quarters. 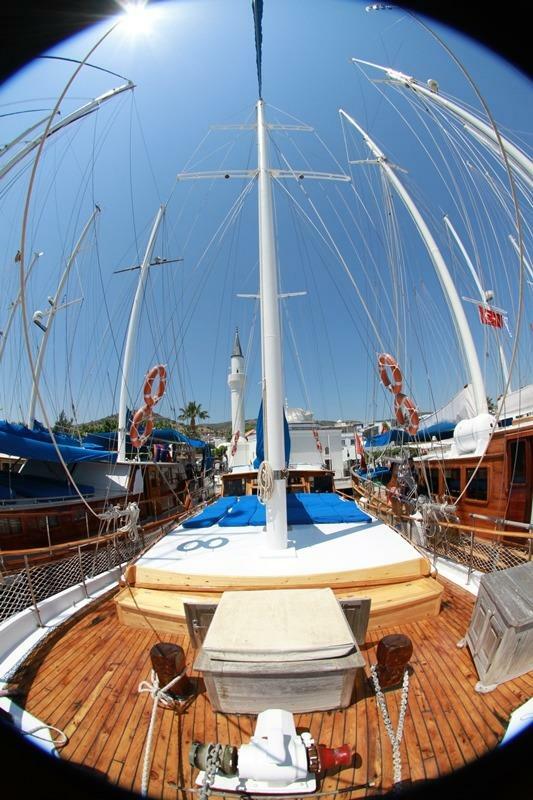 Language: Turkish, English. 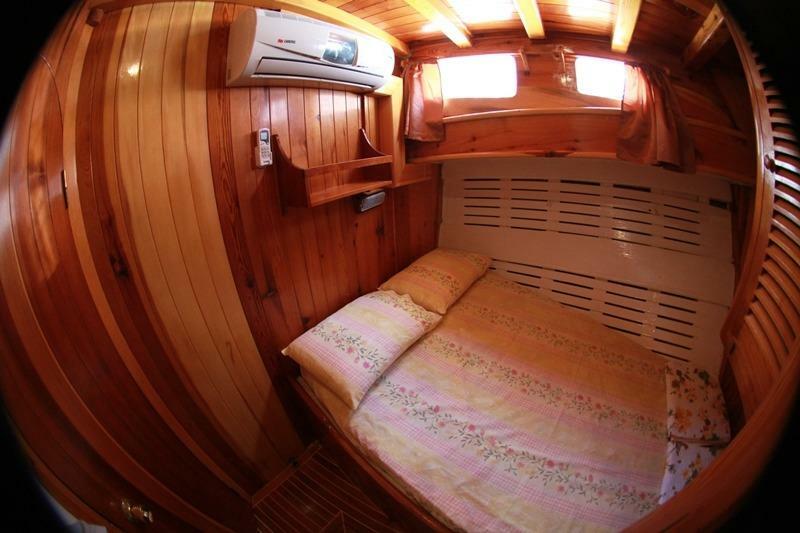 Prezzi settimanali incluso carburante (per programma regolare), equipaggio (esclusa mancia), tasse portuali (non marine privati e greci), teli da bagno (non da mare), esclusa pensione completa, bevande, spese doganali in Grecia, voli, trasferimenti aeroportuali.